”We are committed to giving Lou every resource and the full support of the entire organization as we pursue our program to compete at the highest level,” co-owner Scott Malkin said. One of Lamoriello’s most pressing issues is Tavares, who can become an unrestricted free agent July 1. The 27-year-old forward just finished a $33 million, six-year contract. He had 37 goals and 47 assists this season, finishing a goal and an assist shy of the career highs he set in 2014-15. ”He’s one of the elite players, a gentleman both on and off the ice and he’s just a quality individual as well as a quality player,” Lamoriello said. Because the Islanders missed the playoffs the past two years, hiring Lamoriello is at the very least a sign to Tavares of ownership’s willingness to make improvements. Lamoriello led the Devils’ hockey operations from 1987-2015, reaching the Stanley Cup Final five times and winning in 1995, 2000 and 2003, and is well-respected for his management expertise. 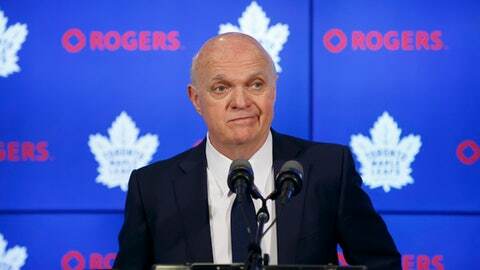 That will be tested in his third stint running a front office, this time for a team that has had son Chris Lamoriello as assistant GM since 2016. He takes over just a month before the draft and five weeks before the clock runs out on re-signing Tavares before he hits the open market, giving him tight deadlines to ”bring the Islanders back where they were” in the 1980s when they won the Cup four times.